Lavender is one of the world's most beloved plants, and our Lavender Tea's subtle, calming essence brings delight and benefits that can help support a healthy body and mind. With its elevating, soothing color and potently relaxing aroma, it’s easy to believe that lavender is one of the most admired herbs worldwide. Once found only in Europe, Asia, and Africa, humans have desired lavender for more than 2,500 years. The ancient Romans valued lavender so highly that a single pound of lavender blossoms cost 100 denarii, a full month’s wages for a farm laborer. 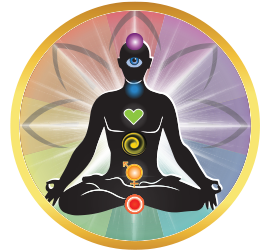 Today, alternative medicine and essential oil practitioners deem lavender oil a vital inclusion in their arsenal of healing tools. 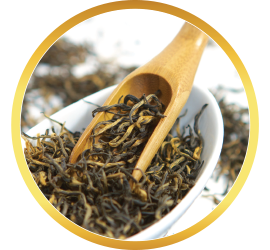 Its purported benefits are so vast, you simply can't go wrong by including Buddha Teas Lavender Tea in your health regime. 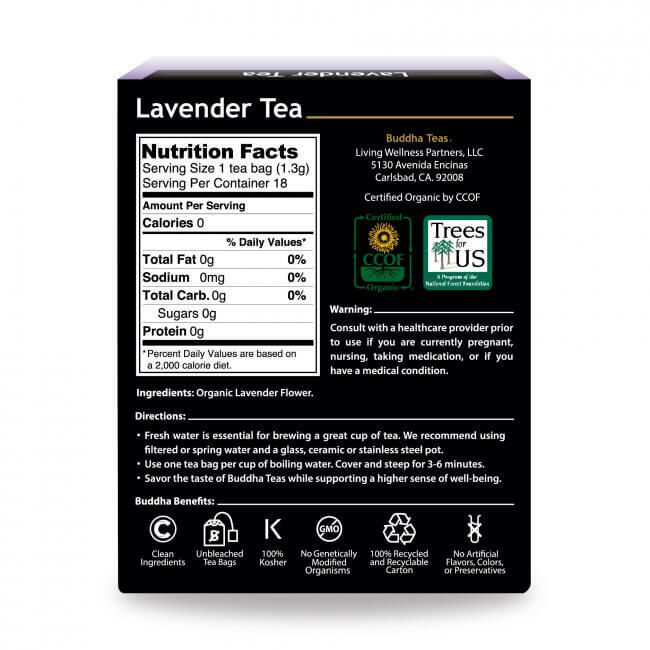 From relieving anxiety, to supporting regular and healthy sleep, to even supposedly improving brain function, our Lavender Tea is one you will surely want to keep stocked. What Does Buddha Teas Lavender Tea Taste Like? The first thing you’ll want to do when fixing your perfect cup of calming Lavender Tea is this: inhale. And then, inhale again. 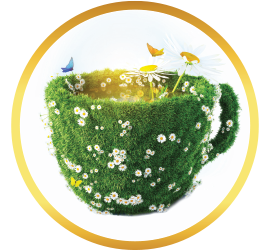 The subtle scent, reminiscent of a bike ride through Provence, begins your experience with this sublime tea. Though some teas containing lavender overwhelm the tea with floral, Buddha Teas Lavender Tea brings in an element of earthiness most teas don’t. 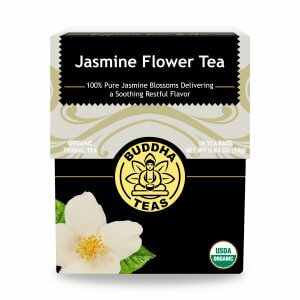 If you like the scent of lavender, but don’t like drinking a perfumey cup of tea, you’re going to love this tea, and likely want to keep it stocked from now on. Heat the water to boil. Pour water over your teabag. Usually we like to cover our mugs while steeping, but this Lavender Tea experience begins with the aroma, so to enjoy and benefit from your Lavender Tea, sit with your cup and inhale. Allow the soothing scent to rises up and meet your senses. Steep 3-8 minutes. Served iced, you can carry most of the Lavender Tea benefits with you throughout the day. (Lavender’s aroma is best experienced with your hot cup of tea.) 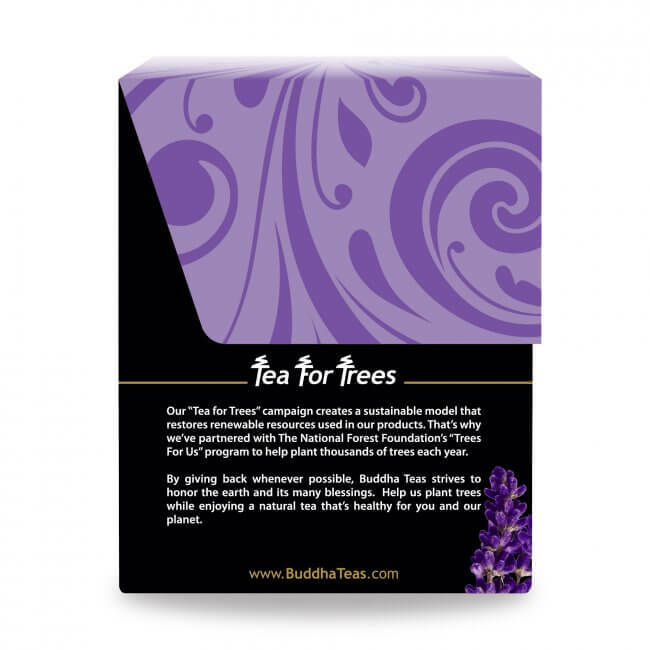 Just brew two or three bags of Buddha Teas Lavender Tea and store in a glass container in the fridge up to 48 hours. You'll have delicious, healthy iced tea to pour into your travel mug and take with you wherever you go. Lavender tea is known for its fragrance and soothing herbal taste, but beneath these pleasant qualities, hides nutrition as well. Lavender tea provides vitamins C & A, and calcium & iron as well. 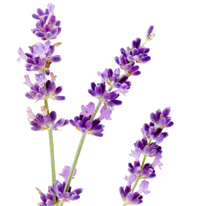 Lavender also contains a number of active constituents, including flavonoids, coumarins, and tannins. 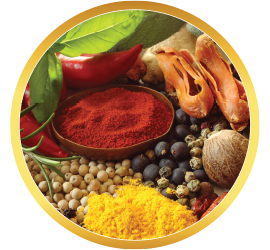 Many of its active constituents even contain antioxidant properties. You can enjoy lavender for the specific benefits it has to offer or if you’re simply looking for a new tea to try. 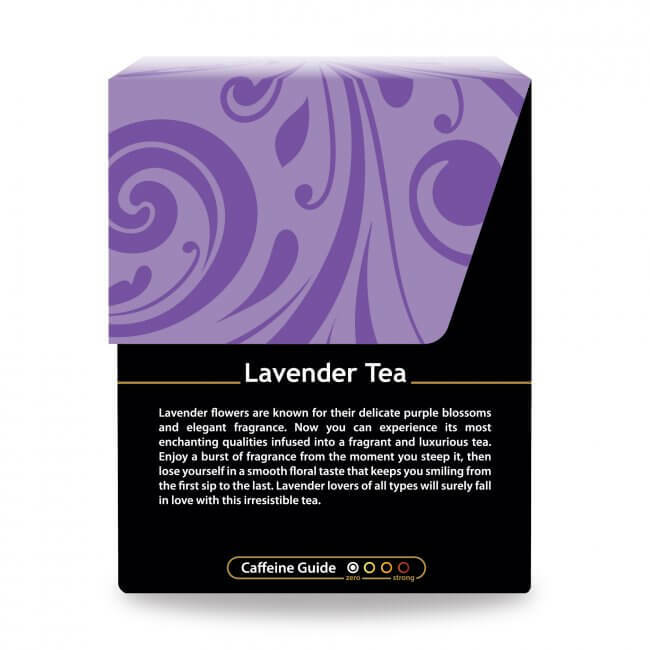 Lavender tea pairs well when blended with other teas such as sage leaf tea. 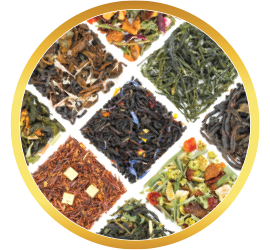 Mix and match lavender tea with some of your other favorites to come up with the unique blends that work best for you. 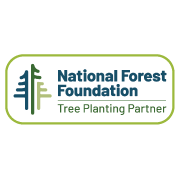 Purchases made now will receive a coupon code and bulk orders will save even more money. 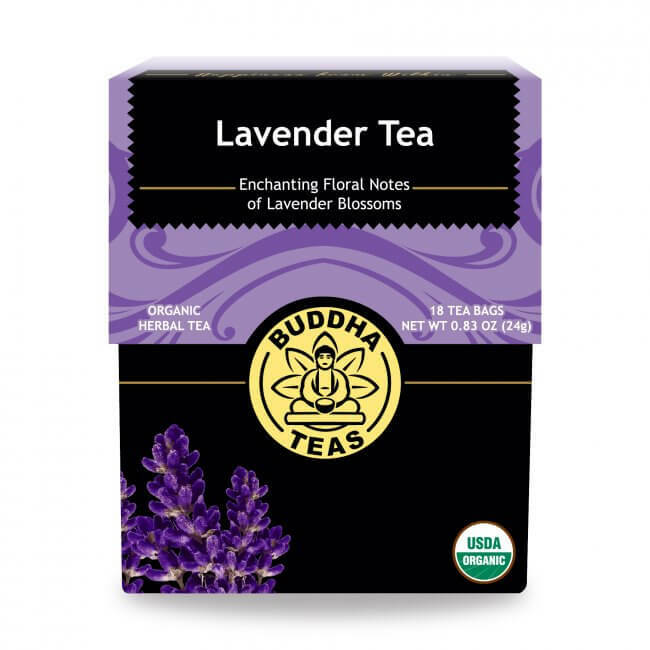 At Buddha Teas, our organic lavender tea is a definite favorite. 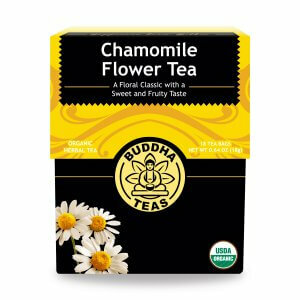 Buy it for yourself or purchase a box as a gift for another tea lover in your life! 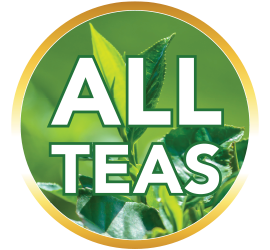 We ensure that all our products are made from high quality, organic herbs, packaged in bleach free tea bags so you can enjoy pure taste without the worry of being affected by unnecessary chemicals like dioxin. Buy some today! I love this tea. It is just right, not too flowery, but mild. It did have a calming effect that I was hoping for. Will be buying more. 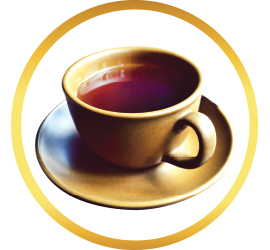 I ordered this tea because I am having some sleep issues. It tastes great and does relax me. I'll reorder. 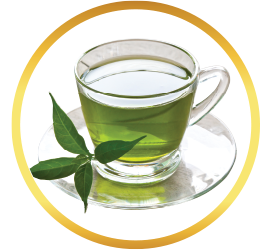 A great smooth and soothing tea. I loved this Lavender Tea! 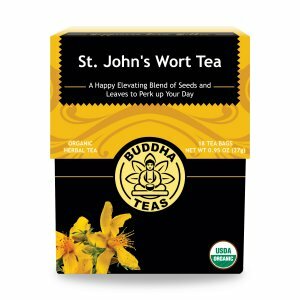 A very soothing and good tasting tea (as are all the Buddha Teas I have purchased). I'm not a tea person. This tea is truly wonderful. It's relaxing and helps me to sleep better. I love this tea. It's so calming and so delicious.